Fresh from a couple of days displaying at the LA Auto Show’s Connected Car Expo, Openbay couldn’t resist the opportunity to ogle the beautiful cars at the LA Auto Show. Here are a few that intrigued us, some of which we’d have loved to have driven right off the show floor and into the LA sunset. Enjoy! 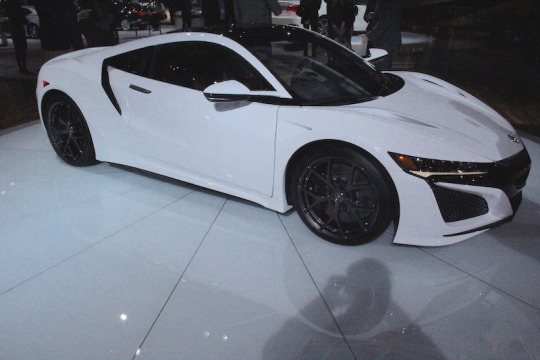 Acura NSX – this electric supercar will run you more than $150K, and Car and Driver thinks some of the NSX tech will eventually be in a Civic. Think the Civic will borrow some design cues, too (and at a fraction of the cost)? We’re interested. Audi R8 V10 plus – According to Car magazine, “the first thing you notice once you’re inside is the refinement – and the ride comfort.” Maybe for those who already own R8s, but for the rest of us, we’d delight that nobody had kicked us out of this car yet! 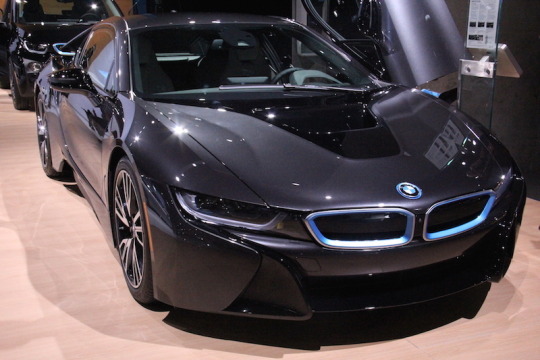 BMW i8 – We hear this hybrid runs 0-60 faster than an M3. Talk about having your cake and eating it, too. Want! 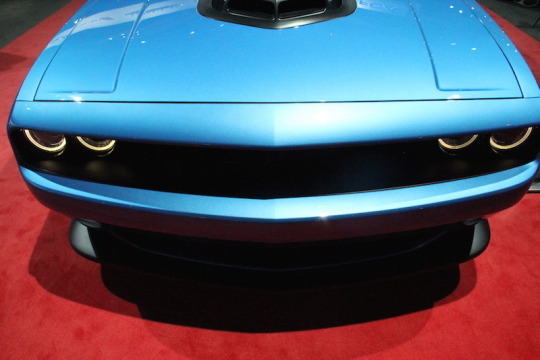 Dodge Challenger – If you’re looking for the best designed American Muscle out there (and for under $30K! ), the Challenger hits the mark. That front end is sinister. 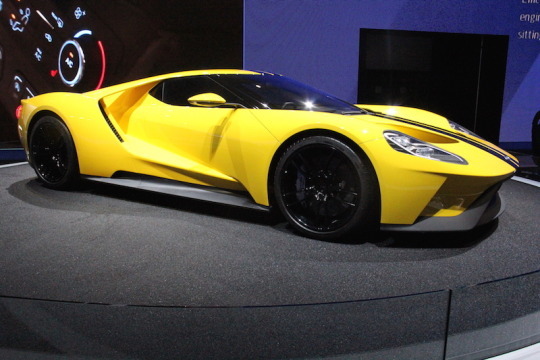 Ford’s GT was on display, looking totally surreal (especially from the side). This teardrop-shaped supercar is a rare sight – only about 200 will be built, and it may cost around $400K. 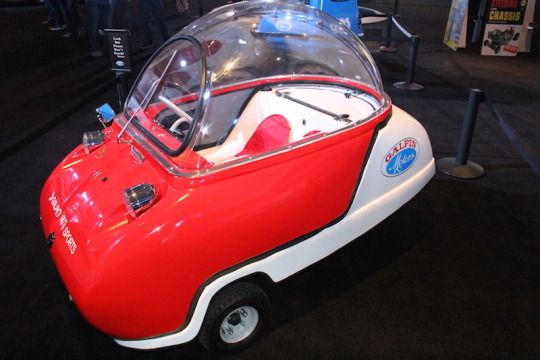 Galpin Auto Sports – OK, so these two cars won’t exactly be on sale anytime soon, but they had two cars – the Peel Trident (pictured) and the Peel P50 – that made us smile. These classics resided in the entire hall hosted by Galpin Auto Sports, whose display was among the most fun and quirky ones in the whole LA Auto Show. They had everything from these two curiosities to this positively hypnotic Aston Martin DB10, which we’d posted earlier in all its spinning glory. 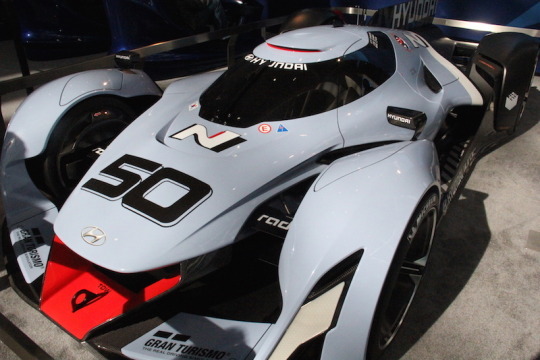 Hyundai N 2025 is Hyundai’s answer of the Vision Gran Turismo challenge, whereby the game challenged auto manufacturers to answer its call to design futuristic vehicles for Gran Turismo 6. What a great way to inspire design. 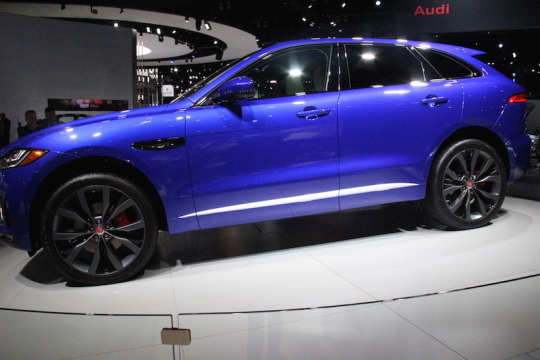 Jaguar F-Pace – no your eyes aren’t fooling you: this is Jaguar’s answer to the SUV. This will go on sale in 2016, and with a price point beginning around $40K, we expect they’ll move quickly (in more ways than one). 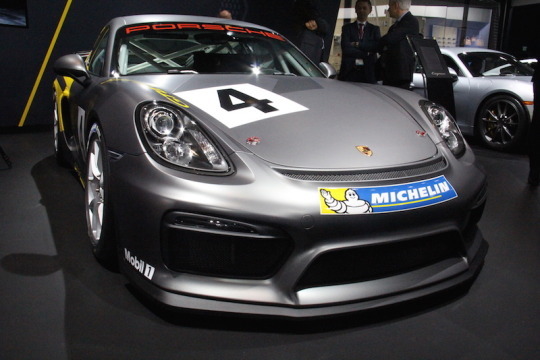 Porsche Cayman GT4 Clubsport – this Porsche is twice the price and half as useful as its street-legal brother, the GT4. 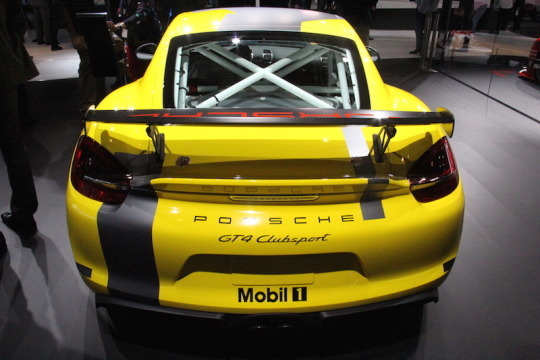 The “track toy,” as Car and Driver puts it, has lost 84lbs and gained a roll cage, among other race-ready goodies. Best of all, this one eludes fellow racers, with different colors on front and back, so they might question whether they ever saw you coming… or going. Vette – not technically the name, but “Vette” is as much a household name as “Corvette,” so why not? 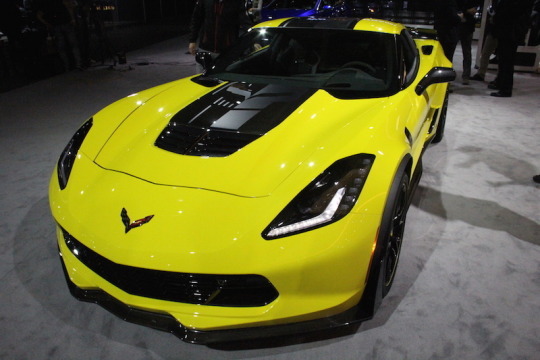 These cars captivate serious racers and casual enthusiasts alike, and this Z06 C7.R Special Edition is for the most serious enthusiasts out there. Only 500 of these will be available for sale in the U.S.
And remember – while we’re all captivated by shiny, new cars, most of us drive older vehicles (the average car on the road is now 11.5-years old). When your wheels are in need of maintenance or repair, check out Openbay on web or mobile app. Compare local shops, select one, book and appointment and pay via Openbay. Openbay is auto repair for today’s world. No matter what you’re driving, drive safely! This entry was posted in Car Tech and tagged acura, audi, automotive, bmw, cars, dodge, ford, galpin, gran tursimo 6, hyundai, jaguar, la auto show, openbay, porsche. Bookmark the permalink.